When Dr James Barry died in London in 1865, at the end of a long career as a high-ranking British army surgeon, stretching from the Napoleonic era to the Crimea, a strange and startling discovery was made. 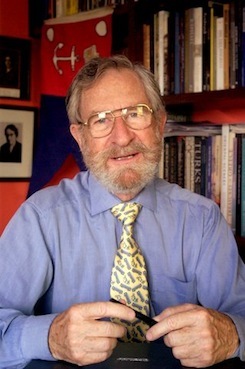 This man, who had always had a reputation for unconventional and sometimes scandalous behaviour, was found to have the body of a woman. The doctor who called himself James Barry had lived a life of breathtaking deception. He – or rather she – had been born Margaret Bulkley. At the age of 20, Margaret changed her appearance and persona to that of a young man, because only in the guise of a male could she study medicine at Edinburgh University. Margaret’s original plan was to train as a doctor, then go and join the revolutionary forces in Venezuela, but in the event she was too late: the revolution had stalled. So instead, in 1813 the newly qualified ‘Dr James Barry’ joined the British army, and embarked on a career of distinction, controversy and audacious deception. This book, imaginatively bringing its subject and her times vividly to life, is the fullest, most authoritative biography yet of this pioneering, convention-defying woman – a brilliant medical professional and social reformer. It goes much further than any previous account in making known the truth about Barry’s life and adventures – including the truth about the intense and deeply moving bond of love with Lord Charles Somerset, Governor of the Cape Colony during Barry’s period of service in the Colony. It was a powerful love that held them together through trials and scandal; a love that never lessened even when they were half a world apart, and was finally only severed by death. Margaret, in her guise as Dr Barry, learned to live as a man, but beneath the disguise she loved as a woman. This book reveals, for the first time, the full complexity of the identities of Margaret Bulkley and Dr James Barry: the childhood abuse that turned her against men; the violent outbursts of temper; the zeal to better the lot of common soldiers and slaves; and the passionate love that was her redemption but also her heartbreak. "I found the book immensely enjoyable. It’s a fascinating story, told with verve, sensitivity and skill – the result an awe-inspiring amount of research and detective work, managed with delicacy and flair. I felt the book had a real feel for the times and I appreciated its firm historical grounding, and the way in which imagination and a rigorous approach to fact played so well together. A marvellous read, and a story worth telling." "Jeremy Dronfield, using a novelist’s touch for contemporary detail, has produced an elegant and sensitive biography….Du Preez and Dronfield have done Margaret Buckley and her alter ego proud in this absorbing book." "The life of Dr James Barry was and is by every measure so remarkable that at each turn of this quite gripping biography I found myself gasping in disbelief….The great pleasure of this book is its detail. It is one thing to re-create a life, but quite another to fill in the background as vividly as the authors have done, fleshing out the personalities of walk-on characters and giving colour and context to Barry’s world – or worlds. Wherever their subject goes, whether it is Margate or Mauritius, they make those places come alive with contemporary descriptions and reports. Their research is authoritative and prodigious, giving the reader glowing pictures of, for example, the rackety artistic circles of London in 1802, the horrors of a military hospital in wartime, travelling down a sheer South African gorge in a cart, visiting St Helena in the days of Napoleon, and being on a ship in which a smallpox infection breaks out. When you have all this to play with, the book’s occasional novelistic flourishes are surplus to requirements." "The Life of Dr James Barry was and is by every measure so remarkable that at each turn of this quite gripping biograhy I found myself gasping in disbelief...The great pleasure of this book is its detail. It is one thing to re-create a life, but quite another to fill in the background as vividly as the authors have done, fleshing out the personalities of walk-on characters and giving colour and context to Barry's world - or worlds. Whereever their subject goes, whether it is Margate or Mauritius, they makes those places come alive with contemporary descriptions and reports. Their research is authoritative and prodigious, giving the reader glowing pictures of, for example, the rackety artistic circles of London in 1802, the horrors of a military hospital in wartime, travelling down a sheer South African gorge in a cart, visiting St Helena in the days of Napleon, and being on a ship in which smallpox infection breaks out." " A cracking story ." "The most detailed account yet of the woman who, in her male guise, became Britain’s first female doctor. Extensively researched, du Preez and Dronfield’s cradle-to-grave narrative fills in many of the significant gaps of Barry’s life…a wealth of fascinating detail about contemporaneous medical practice and attitudes . " "a scintillating portrait of Barry’s life. Tracking down new documentary evidence, they have produced irrefutable proof that Barry was born Margaret Bulkley in Cork in about 1790. Thanks to dogged sleuthing, the book fleshes out her early life, pinpoints the date of her dramatic transformation and follows Barry’s career across the globe." " This is a remarkably interesting book. Tales of Dr James Barry (née Margaret Bulkley) have been recounted for decades but few have put together such an impressive and highly readable biography. Blending their individual medical and writing talents to spin a vivid, colourful and informative story of this fascinating woman, the authors transport the reader into scenes of contemporary Georgian society and medical training….With such meticulously detailed research and so few errors, Dr James Barry makes an outstanding contribution to social, military and medical history. " "Du Preez and Dronfield have done Bulkley and her alte ego proud in this absorbing book." "the longest and most comprehensive dissection of Barry’s life so far…a scintillating portrait of Barry’s life…a story that feels almost Dickensian…"
The latest news with regard to Dr James Barry: A Woman Ahead of Her Time by Michael du Preez and Jeremy Dronfield is that Warner Bros TV is getting ready to start pitching to networks to try and get a series off the ground. They’ve signed up actress Sarah Paulson (lead in American Horror Story etc.) 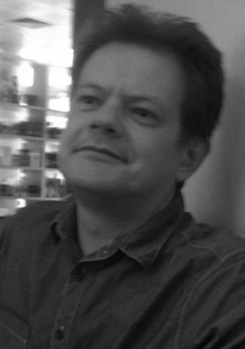 to play James Barry. Congratulations to Jeremy Dronfield and Michael Du Preez whose Dr James Barry: A Woman Ahead of Her Time has been named a Sunday Times Biography of Year and described as “this thoroughly engaging history”. 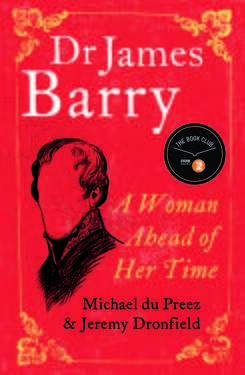 Dr James Barry: A Woman Ahead of Her Time by Dr. Michael du Preez and Jeremy Dronfield published by Oneworld on 25th August has already received glowing reviews.